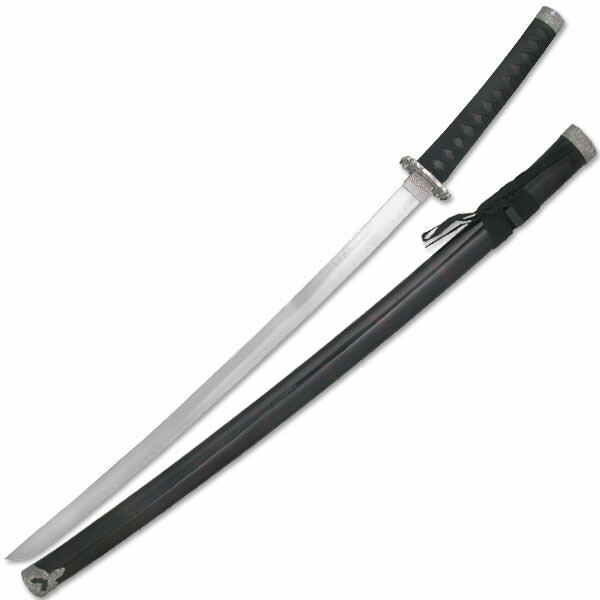 A black sword w/faded burgundy markings. 440 stainless steel blade. Has a wooden sacbbard-overall approx 40?